Bikes, etc: The most beautiful thing I've seen in a while. he has a few other nice bikes too. 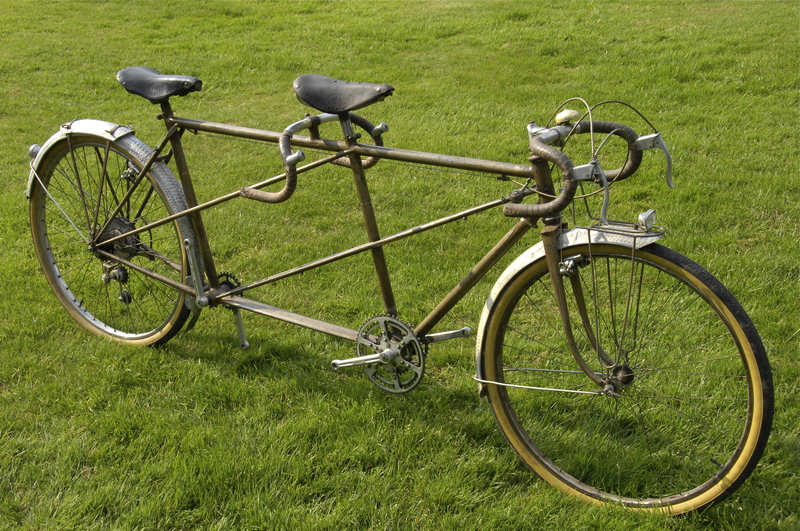 I saw something like this last week, I think - a couple in Ohio had an old tandem in their basement that they finally got around to restoring, and it turned out to be from 1898 or something - similar to the one in the Smithsonian. They even had the original wooden rims. 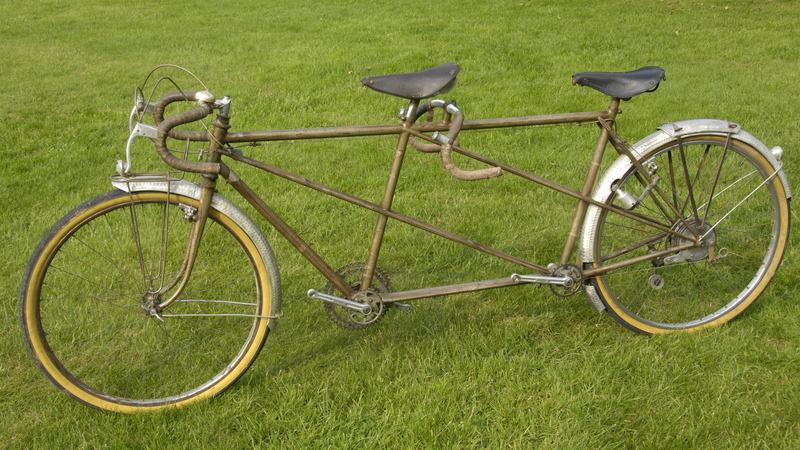 Goes to show - it's always worth hanging on to that unusual bicycle - you never know what it could be worth.